In another of Lion’s magical, revolutionary, and mandatory changes to your workflow, the “Save As” option and hotkey are gone from many Apple apps such as Pages. As a lawyer who has gone all-in on the Mac bandwagon and is generally happy with dropping M$ pricey and bloated office application, I am nonetheless less than thrilled with the removal of the “Save As” functions. I get that saves happen in the background. I get that I can duplicate files. I get that I can export files. HOW THE BLAZES DO I SELECT WHERE THE FILES GET SAVED!?! “Don’t worry about it, the OS will take care of all that” is NOT an acceptable answer when I want to save files into a client’s folder. Fortunately, like many things in Lion, the functionality in there, it’s just magically hidden from you. Or at least until you learn the new and funner way of doing it. And then you will just feel stupid for not realizing the new way Apple wants you to do things. What’s the secret? Just use Cmd+S (or Save from the File menu). And you get a save dialog. Want more options? Press the disclosure triangle next to the filename and you can select where the file is saved. 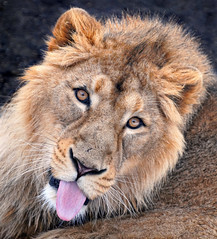 You know, learning the quirks of Lions feels a LOT like playing Portal 2. Cave Johnson, we’re done here. One of the great things about being an Mac based attorney using is the built-in option to save any document as a PDF. You don’t need any plug ins or even Adobe Reader to do this. It’s all built into Apple OSX. 1. You have to hit Cmd+P to bring up the Print Screen. 2. Select the PDF button in the lower left corner of the Print Screen. Then select the save as PDF selection. 3. Finally, you get to select where to save the PDF. Over the course of a day, having to move your mouse to the PDF button and select the correct option quickly becomes a drag.